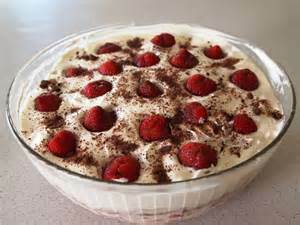 Summer time means trifle and this is a great dessert. This recipe for Italian Trifle is best made the day before you wish to serve it so that the yummy flavours blend together. You don't have to use raspberries, blueberries or blackberries are equally as good a fruit (and jam). 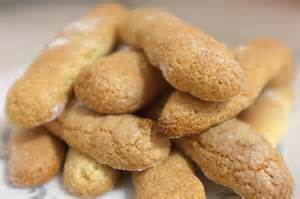 Spread the sponge fingers with the jam and put in a glass bowl. Sprinkle over the sherry or white wine and half of the raspberries. Mix a little milk with the cornflower until smooth. Sir in the rest of the milk. Pour into a saucepan and bring to the boil, stirring all the time as the milk thickens. When it is boiling and smooth take it off the heat. 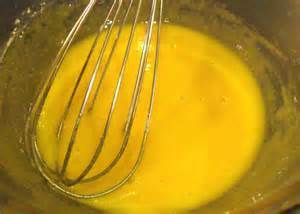 Whisk the egg yolks and sugar in a bowl until they are light and creamy. Add the milk slowly, whisking all the time. Mix well, pour over the raspberries and sponge fingers. 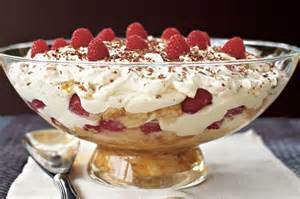 Softly whip the cream and spread it over the trifle. Sprinkle the rest of the raspberries over the top.